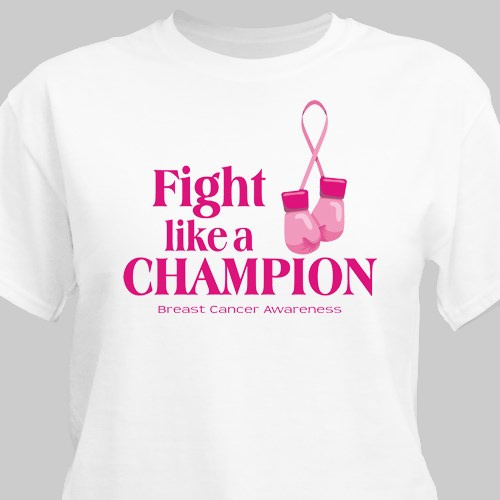 Fight breast cancer like a champion when you rock one of these personalized T-Shirts at your next breast cancer walk or event. 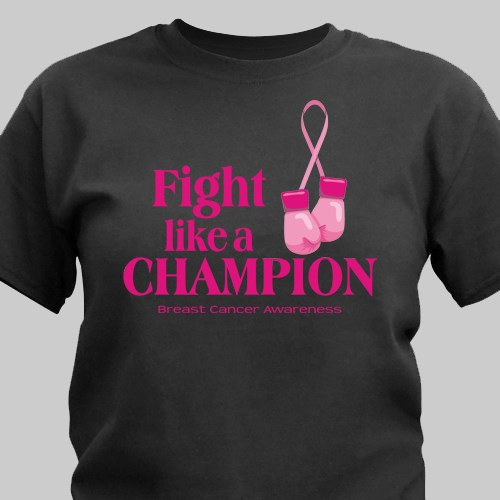 Show the world that you're a contender in the fight for a cure whenever you wear this bold tee. This Breast Cancer Awareness Personalized Shirt is available on our premium 100% cotton T-Shirt & our 100% preshrunk cotton colored T-Shirts, machine washable in youth sizes XS-L & adult sizes S-3XL. Additional Details This personalized gift would be perfect for showing your passion in the fight against breast cancer. We offer so many great breast cancer awareness items for your next walk! Our Rockin Pink Breast Cancer Awareness T-Shirt is another great option.